The fee includes all tuition, course materials, questionnaires, the CCS Core Skills Course Manual, lunches & refreshments, assessment of the post-course licensing questionnaire, feedback, the CCS Self-Assessment Manual, license fee and membership of the CCS Alumni. £2500 + VAT. Includes all tuition, refreshments, lunches, Licensing Test scoring and detailed feedback, CCS Licence, CCS Self Assessment Manual, Membership of CCS Alumni and Linked-in Forum, access to CCS twice yearly CPD events, access to Kingston University’s Postgraduate Work-based learning Certificate in Career & Talent Management, a copy of Career Counselling (R Nathan & L Hill, 2006), the CCS Networking Companion (G Freedman, 2010) and the CCS Job Search Guide. 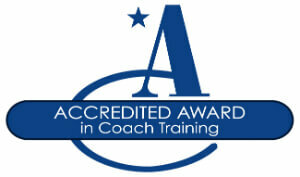 For those wanting to receive the Association for Coaching Accreditation, there is an additional fee of £200 + VAT. This covers the extra supervision and preparatory assignment which is required. The fee is due within 30 days of the completion of our Application Form, or by one month prior to the start of the course, whichever is the sooner. Payment may be made in instalments, by prior arrangement. CCS offers up to two reduced prices place per course. The amount offered will depend on a combination of financial circumstances and places available on the course. If you would like to apply for this reduction, please email rob@career-counselling-services.co.uk, with a brief outline of your reasons for wanting to do the course, and which dates you are interested in. The government has now ceased to offer these loans. Borrowers in the UK now have access to statutory loans such as Advanced Learner Loans. Access to these is not dependant on the applicant’s credit history. As the PCDLs have only recently been stopped, we are currently applying tom be recognised as a training provider for ALLs. We will announce when CCS becomes a recognised training provider.